Jump in! There is plenty of room — and need — in this industry for diverse perspectives and skills. Blockchain impacts a wide range of industries, from banking to health care to real estate. Innovative industries like blockchain often reward talent more effectively than traditional industries with institutionalized power structures. Those who benefit from the traditional structure may be reluctant to embrace the changes that come with blockchain, but that may be your best opportunity. Don’t be intimidated if you are the only woman “in the room.” Have confidence in yourself and what you have to contribute. Odds are, most people in the room will be happy to hear from you. I had the pleasure to interview Kristen Howell. 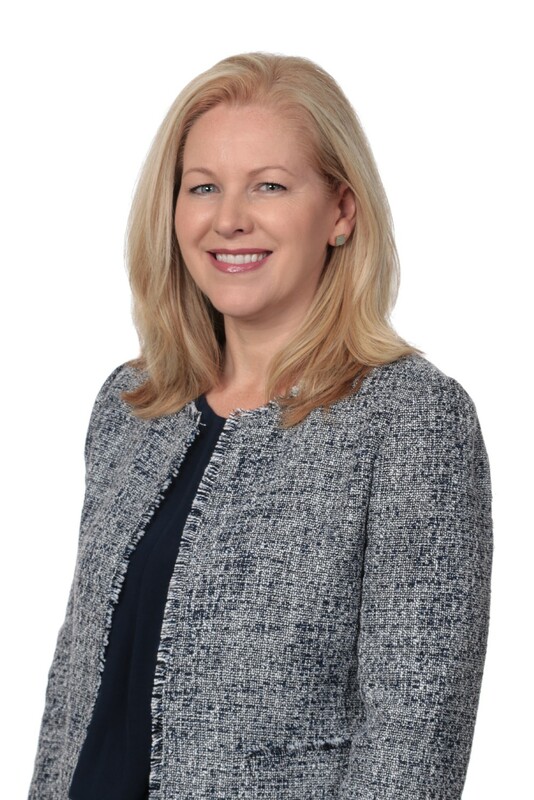 Kristen is a partner at Fox Rothschild LLP and a member of the firm’s Corporate practice group. Kristen has more than two decades of experience guiding businesses in their financing strategies. Her current practice centers on advising innovative companies — from startups to growth-stage — on the full range of corporate and securities matters, including securities offerings, investment vehicles, and broker-dealer, investment adviser and alternative trading system regulations. Kristen has a particular fluency in the unique needs of cryptocurrency businesses and use of the Regulation A+ token securities offering. Her experience as general counsel for a $20 billion financial services firm brings strong business perspective to her legal practice. She enjoys working closely with clients to accomplish their business goals, tailoring legal advice and solutions to fit each client’s operations, industry and risk profile, with a problem-solving mentality. I didn’t actually decide on this particular career path. My work in blockchain and cryptocurrency grew out of my experience with capital markets, technology and law, but it’s really a result of endless curiosity and a willingness to take on new challenges. Years ago I mapped out a career path in intricate detail, with timelines and goals specific to my profession and industry, in addition to some key personal events carefully slotted in at appropriate junctures. But, as the old saying goes: “Life is what happens while you’re busy making plans.” My best opportunities and biggest life events were unplanned. With the pace of innovation today, particularly in the blockchain space, we can only imagine the career possibilities that lay ahead. Rather than trying to choose a career, choose an approach: Stay curious, have an open mind and always be learning. Some of the most interesting projects I currently am working on are in film and music. These blockchain and crypto-based applications range from funding portals that help artists raise capital for their projects, to platforms that connect filmmakers with equipment rentals, to tools they can use to protect their intellectual property and streamline royalty payments. These projects give creatives more artistic freedom and enable fans to support the art they are passionate about. Intermediaries and gatekeepers have less control over artistic creation and profits. Best of all, when fans get to invest directly in artists, they share in the artists’ success. We get perfect alignment of interests. And when fans promote their cherished artists across media platforms, the artists and the fans benefit. Many people have invested in me, supported me, encouraged me … and tolerated me. I really couldn’t name just one. The thing for which I am most grateful though, is the many times people have helped me by giving me challenging opportunities. The opportunity to take a risk, to take responsibility for a challenging project, to do something I had never done before. You never know what you are capable of until you try something that challenges you. If you aren’t a little bit uncomfortable, you aren’t learning. What are the things that most excite you about blockchain and crypto? Why? 1. Companies looking to conduct ICOs that want to access to regulated U.S. markets are using 506(c), Reg A+ and Reg CF Offerings of token securities, breathing life into this market segment. 2. The best of crypto and traditional stock markets are coming together to create token security exchanges, offer greater efficiency and transparency than traditional markets, and provide more opportunity for liquidity in the secondary market. 3. The crypto ethos of decentralization fits well with the goals of crowdfunding, and the crypto approach is invigorating and redefining regulated crowdfunding portals. 4. Regular investors will have more options for entering the market through new trading systems with fewer barriers to entry. What are the things that worry you about blockchain and crypto? Why? The allure of fast, easy money blinds people to obvious risks, leading to prominent failures and frauds. This feeds the impression that blockchain is all a fraud, making it more difficult for legitimate businesses to cut through the noise. This also prompts regulators to over-correct in the interest of protecting the public, which in turn reinforces the blockchain industry’s frustrations with the existing regulatory structure. For blockchain and crypto currency to succeed, the industry and the regulators have to work together. For example, I recently read a long discussion on telegram in which crypto enthusiasts postulated about ways to protect ICO investors from fraud. They suggested creating a third party to manage the funds to make sure the company doesn’t spend the funds without reaching milestones, or giving a group of ICO investors some authority to decide how the funds should be spent. What they didn’t appreciate was that the current securities system has these very forms of decentralization and protection built-in, such as through the use of escrow agents, shareholder voting and independent members of a board of directors. Likewise, the crypto brings improvements to the trade settlement process. Like with blockchain, I am drawn to finding ways to improve systems rather than focusing solely on the downstream problems bad systems create. Eleven years ago I saw firsthand how our systems failed to adequately protect and provide for the welfare of children. After fighting the system on behalf of individual children, I decided to help improve the system instead. I became involved with a nonprofit dedicated to reforming the child welfare and juvenile justice systems. Ten years in, I can attest to how partnering with regulators, stakeholders and innovators to make changes at the systems level can improve thousands of lives. As you know there are not that many women in your industry. Can you share 3 things that you would you advise other women in the blockchain space to do to thrive? The barriers to greater participation of women in blockchain are tied to the barriers that exist within the technology industry and the industries using blockchain applications. For tech, that may be fewer women entering STEM in college, while for financial services it may be the historical predominance of white men. Businesspeople in the fast-paced world of innovation may believe solving these challenges is beyond their scope. However, data and life experience demonstrate that businesses benefit from gender (and other types of) diversity. Given the range of industries that blockchain will impact, it is quite safe to assume that the most successful businesses in this space will have women in leadership roles. If you look around the room at your leadership team and you all look pretty much the same, intentionally seek out people with diverse perspectives and listen to what they have to share. I like working on big projects and taking on impossible challenges. Inevitably, those projects come with moments of doubt, particularly when mountainous challenges loom over our team. In those moments, I recite the improbable words “just take it bird by bird.” The phrase is from a story told by Anne Lamott, in which her young brother sat at the kitchen table in tears as he tried to write a long report on birds in one day, after procrastinating for three months. Her father’s advice was to sit down and take it bird by bird. I plead the Fifth about whether procrastination might be involved in my projects, but saying that phrase to myself diffuses the intensity a bit and provides a good dose of perspective. I would launch a fund that invests in improving youth education and reducing youth homelessness and exploitation. The fund would be sustainable, with income generated from providing services and program design to communities, which would in turn benefit from decreased burdens on their welfare systems.